Don’t just look for a good couch and coffee table—look for lighting, too. Not only can you use lighting to brighten up the room, but a lamp can become a statement piece that will make a difference in the atmosphere. Arc floor lamps will contribute to that classic MCM vibe. 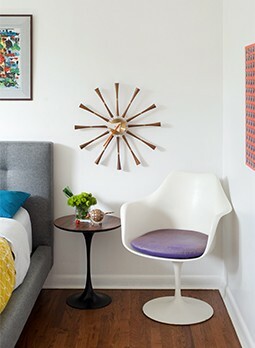 Look for both the arced shape of the lamp stem, and for a domed lamp shade—metal, if you can find it. Pick up a vintage lamp, or purchase a new one. The homeowners of the orange living room in the first photo found their sofa in the back room of a thrift shop. If you haven’t been as lucky in your flea market shopping, there are still plenty of options, both new and vintage. Look for a sectional with upholstery in classic modernist colors such as burn orange and mustard yellow, such as this one on Etsy, or go for a leather sectional that features a funky ’70s design. Also keep the outline of the couch in mind, such as a sectional with trapezoidal pillows. Of course, there’s nothing like an Eames lounge chair to bring instant midcentury vibes to your living room. 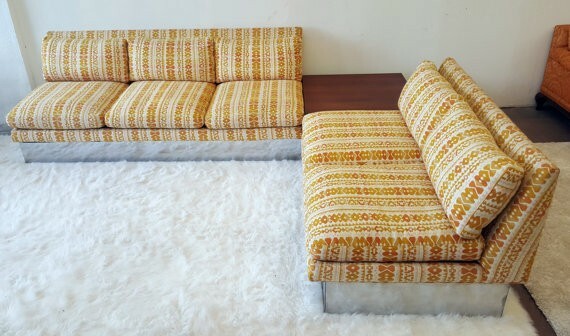 Especially if you have the accompanying ottoman, you’ll be set to wow your guests and make fellow MCM lovers jealous. 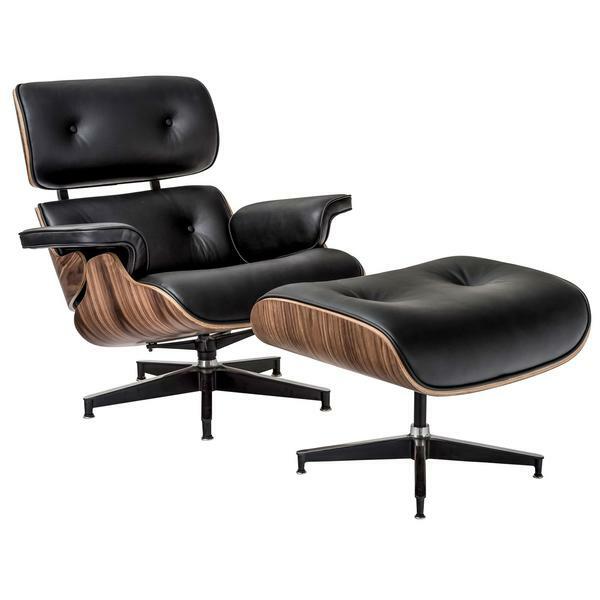 The Eames lounge chair can be pricy, however. If you’re not in the market to spend a few thousand dollars on an armchair, be patient. Look for the chair at estate sales, flea markets and online. You might be able to find one at a discounted price if you’re willing to get one in an off color, or one with a bit of damage.